London, UK. 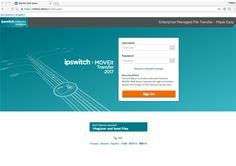 11th October, 2016 – Ipswitch, the leader in easy to try, buy and use IT management software, today announced MOVEit® 2017 – the combined release includes new versions of its industry leading Managed File Transfer products MOVEit® Transfer, MOVEit® Automation and Ipswitch® Analytics. These new releases significantly enhance the ability of IT teams to ensure the secure exchange of sensitive data with external partners on a global scale, and in compliance with data protection regulations such as HIPAA, PCI and GDPR. In our information-based economy, the daily exchange of data with external organisations has become a core process of businesses across a large number of industries. Healthcare providers and Insurers routinely share Protected Health Information (PHI) between themselves and regulatory agencies. Retailers and Financial institutions transmit payment card data. Organisations in multiple industries routinely exchange Personally Identifiable Information (PII). All of this data is protected by regulations such as HIPAA (Health Insurance Portability and Accountability Act), PCI DSS (Payment Card Industry Data Security Standard), GDPR (the European Union’s General Data Protection Regulation) and others. PHI, PII and payment card data are the target of global cybercriminal activity. MOVEit® helps safeguard that data when it is most vulnerable – in transit, as well as when the data is at rest, with best in class encryption. MOVEit Automation 2017 includes new features that significantly extend IT team’s ability to automate core data exchange processes at high volumes while continuing to meet SLAs and reduce IT costs. These include improvements to its state-of-the-art web admin interface, the ability to manage files and resources in any language and SOCKS proxy support for SFTP hosts. Ipswitch Analytics 2017 enables SLA and compliance reporting with new advanced data filters, and enhanced management of security keys, licenses and agents. Additionally, Ipswitch Analytics provides new agents for Microsoft Exchange that extend IT teams’ visibility to include data transfers that occur through email. This significantly enhances the organisations ability to assure regulatory compliance by providing first time visibility into an area of increasing concern – ad hoc file transmissions of sensitive data by employees. To make it easier for IT teams to buy a solution that meets their exact requirements while increasing the value they receive from their investment, MOVEit Transfer 2017 and MOVEit Automation 2017 are offered in Standard, Professional and Premium editions. MOVEit Automation 2017 is also offered in an additional edition, Basic, which is ideal for small businesses. MOVEit has been reliably and predictably transferring files for thousands of customers and millions of users across several vertical industries – including banking, financial services, insurance, healthcare and retail. To learn more about MOVEit 2017, visit https://www.ipswitch.com/secure-information-and-file-transfer/moveit-mft-complete.